Sam Houston looms over I-45 on the south side of Huntsville, and if you’re driving northbound, it looks as if he’s standing right in the highway, not just off to the side. The 67 foot statue by David Adickes was dedicated in 1994, and since then countless drivers have stopped along the highway for family pictures with General Houston, the first president of the Republic of Texas. 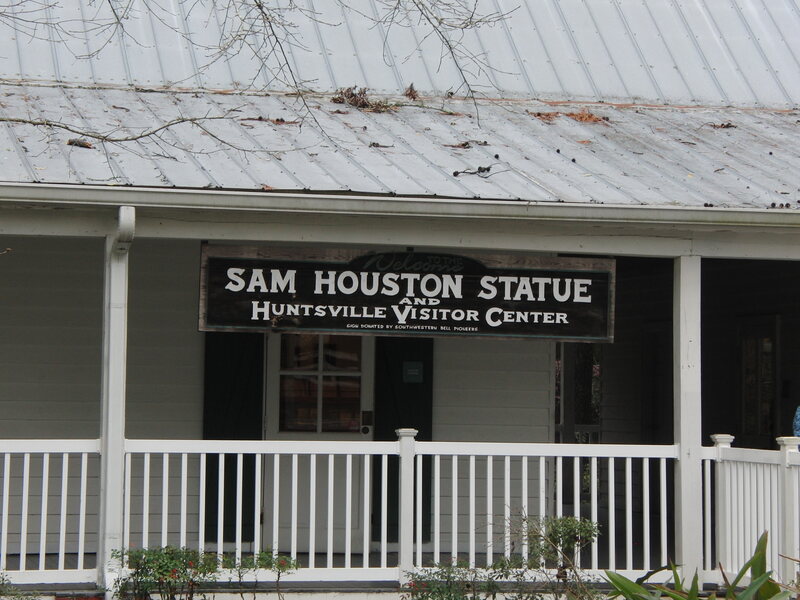 However, just off the highway is a small Visitors Center where we were able to stretch our legs and get a little more information about Sam and the city of Huntsville! Check out my Mommy Tips for making the most of your visit. The Visitor’s Center is located on Hwy 75 and is open 7 days a week. Entrance to the Visitor’s Center and parking is FREE. There is a small gift shop at the Visitor’s Center. 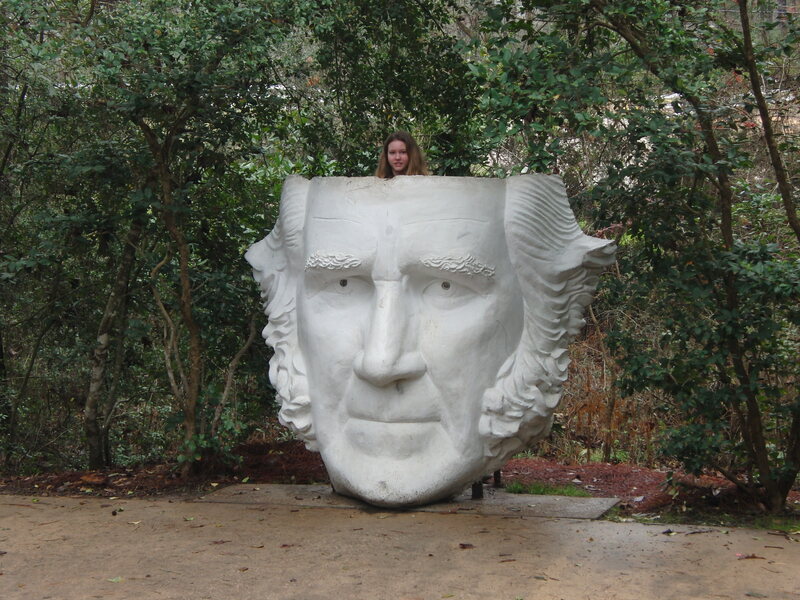 Sculptor and Huntsville native David Adickes also created the giant bust of George Washington, Abraham Lincoln, Sam Houston and Stephen F. Austin, which are displayed in Houston at American Statesmanship Park, although lovingly referred to as Mount Rush Hour. The statues can be seen at the intersection of I-45 and I-10, and is located at 1400 Elder St. Houston. Inside the Visitor’s Center you will find a few historical displays, and information of things to do in Huntsville and the surrounding areas, along with a really happy and helpful staff to greet you! 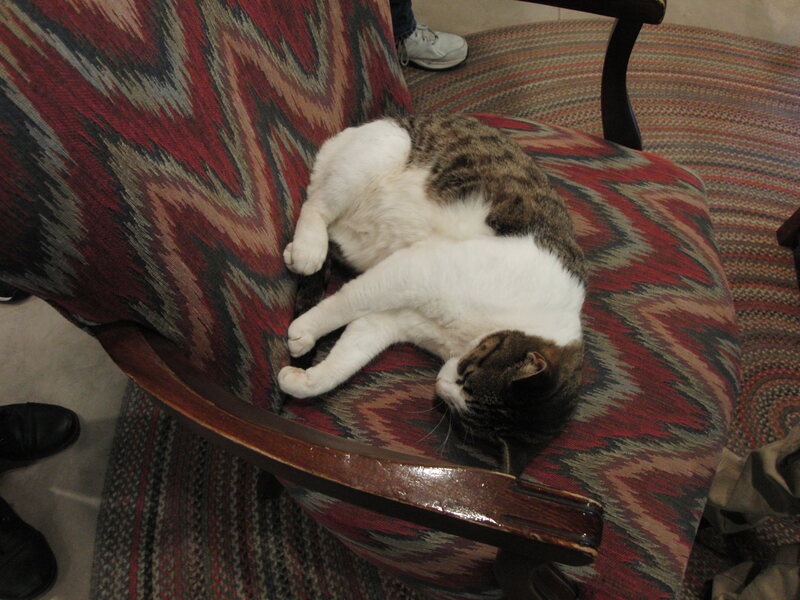 The Visitor’s Center also has a resident kitty, named Baby. The mantra on our road trips is it’s the journey, not the destination. 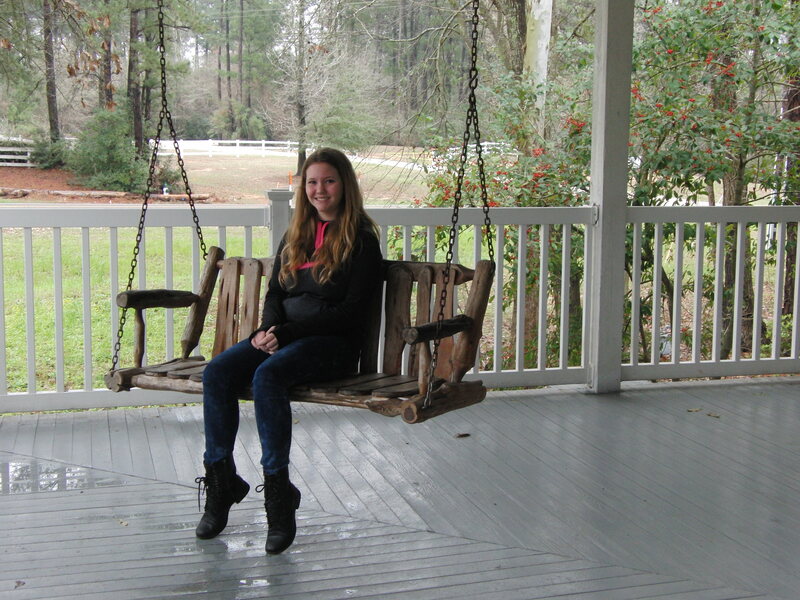 Take a few minutes to relax on the porch swing, and take in the lovely smells of all the blooming flowers growing around the center! 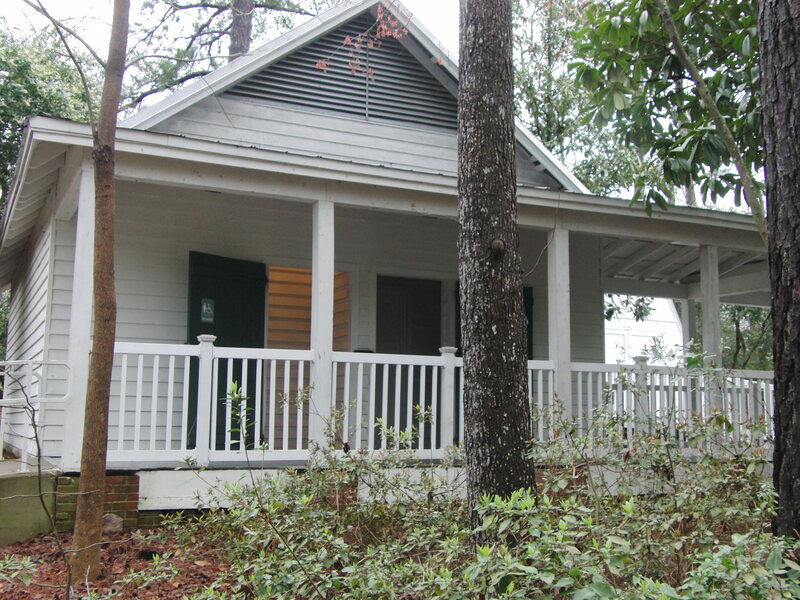 The Visitor’s Center also makes a great place to stop for a potty break! So you know, there is also one of the LARGE rest areas about 15 miles North of Huntsville on I-45 that is open 24 hours. 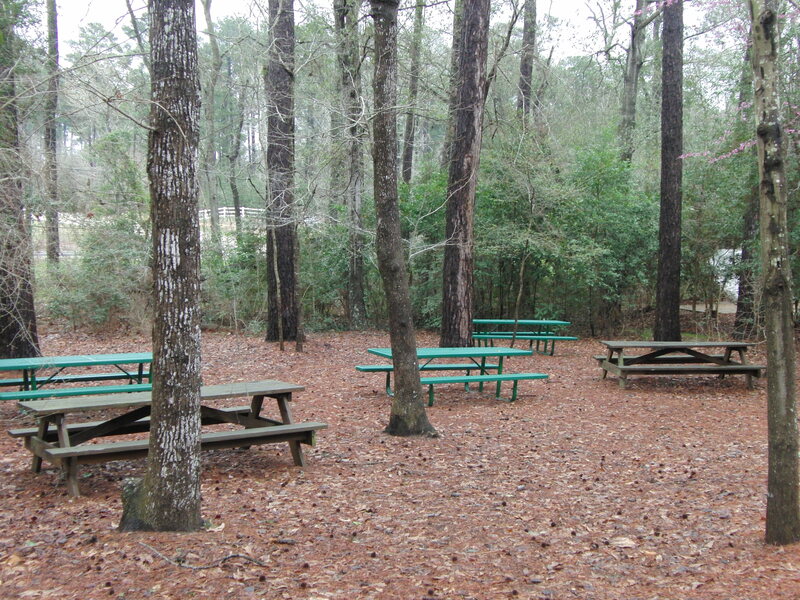 Scattered tables under the pines make a great place to stop and unpack your picnic basket! We laughed at the signs on each table, asking you to throw away your trash or Sam will cry. Oakwood Cemetery is the final resting place of Sam Houston. To read more, click HERE. 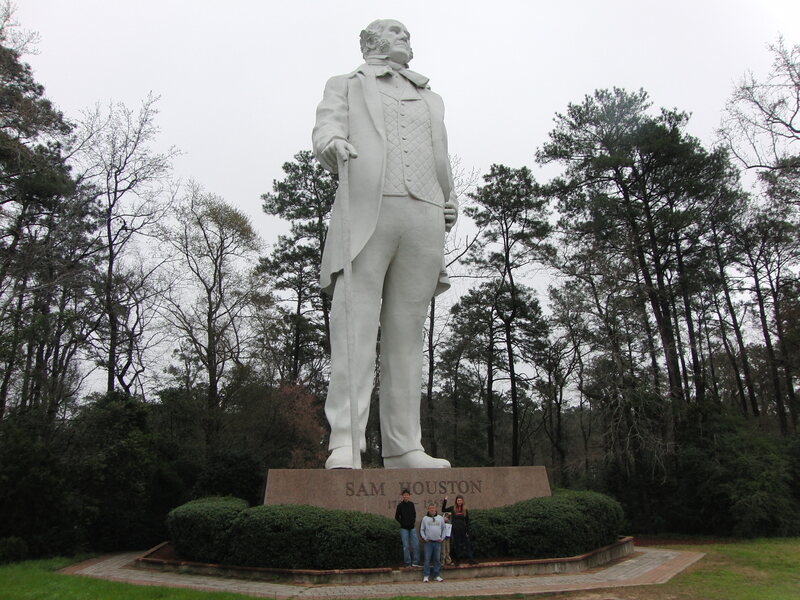 Sam Houston Statue is a nice stop off the highway, with restrooms and picnic tables. For more information, click HERE. Huntsville State Park offers camping, swimming in Lake Raven, fishing, canoeing, paddleboats, hiking, horseback riding and much more! For more information, click HERE. Texas Prison Museum gives visitors a glimpse of the history of the Texas Prison system, including the infamous, Old Sparky. To visit the website, click HERE. Sam Houston Memorial Museum chronicles the life of the first president of the Republic of Texas. Located on the Sam Houston State University campus. Click HERE to visit their website.